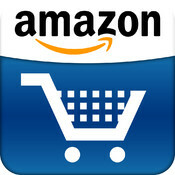 The retail giant continues its acquisitions around the voice recognition technology. Jacques Seguela learnedly asserted that not owning a Rolex 50 years meant he missed his life. Today, it seems not to market its own smartphone brand could become losers. Amazon is certainly not wanting to be part of this club has-been would be about preparing to launch its own phone after e-readers and tablets, which met with some success. How to interpret the redemption of companies specializing in voice recognition technology ? After the acquisition of Ivona to last January, our colleagues Techcrunch indicate that the Seattle company have completed the acquisition of Evi for 26 million dollars. Like Siri, Evi is based on speech recognition technology from Nuance. Evi is now available on iOS platform and Android. Repeatedly Evi was nearly ejected from the AppStore because its functions are too similar to Siri. However, the application is still currently present. Techcrunch says he contacted Amazon and fund managers Octopus Ventures but ran into a polite silence. However, our colleagues maintain their information, especially because much of Evi leaders were replaced by Amazon representatives. Based on these redemptions, many observers are already anticipating the upcoming release of an Amazon smartphone after reading lights and outlets shelves.